Bledsoe's Thruster RLF Knee Brace is clinically proven to provide pain relief and provides the greatest amount of OA correction on the market. The Bledsoe Thruster RLF Arthritis Knee Brace is clinically proven to provide effective pain relief. It uses muscle power to place a medially or laterally directed force against the knee during terminal extension to help relieve pain for moderate to severe single compartment osteoarthritis. Unlike other arthritis knee brace products the Bledsoe Thruster hinge is designed to provide up to 36 degrees of brace angulation compared to a typical unloader design that allows between 3-10 degrees of varus/valgus thrust capability. 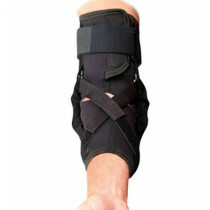 The brace is capable of unloading knee joints for people with excessive soft tissue. It has comfortable padding underneath the frame making it ideal for wearing underneath clothing, as well as, a tacky calf strap that's designed to reduce brace slippage. The hinge is also set more posteriorly than the original Bledsoe Thruster model to reduce rotation of the brace that occurs with the increase of the varus/ valgus unloading affect on the knee. The overcenter buckles are similar to those found in ski boots - the easiest to operate. The Bledsoe Thruster RLF has an easy adjustment dial (pictured below) for pain relief. Just push in and turn the dial, with the leg in a bent knee position. The patient can increase or decrease the the hinge effect by simply turning the dial. Bledsoe is proudly made in the USA! Four point system for unloading the knee joint for greater effectiveness. Provides up to 36 degrees of correction. New strap saddle maximizes circumferential support by preventing strap indentation into the soft tissue. This enhances force and keeps the leg coupled to the hinge. Easy adjustment dial (pictured above) for pain relief. 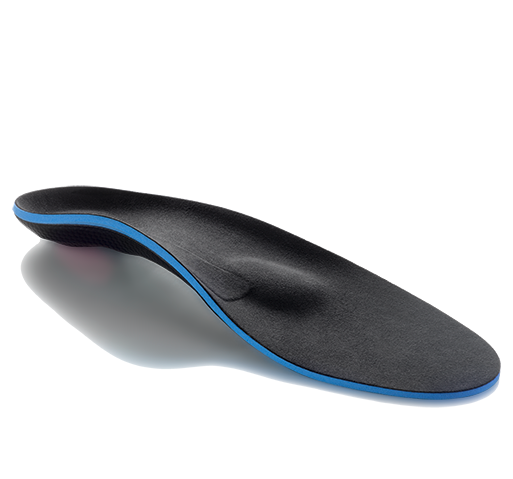 Just push in and turn the dial with the leg in flexion for the desired amount of relief. Unique new buckle closure system, borrowed from the ski industry...over-center buckles. Requires less effort and hand strength to operate the buckles. Ideally suited for patients with maximum redundant soft tissue. Available in XS through XXXL sizes - please see our sizing chart tab above for complete measuring guidelines. Right and left knee specific. Choose Medial to relieve pain on the inside aspect of the knee (medial compartment) and Lateral: for relieving pain on the outside aspect of the knee (lateral compartment). Medial or Lateral Unicompartmental Osteoarthritis. Delaying osteotomy or total joint procedures. To increase daily walking time while increasing activities. To aid in slowing the progression of the condition. Post-operative or post-injury applications following lateral and postero-lateral injuries to the connective tissues of the knee to help relieve stress on these healing structures. Bledsoe Thruster RLF OA Knee Braces actually change their side angle and thrust force with knee motion. This allows much greater side angle thrust (up to 36 degrees) than fixed angle adjustment designs.. 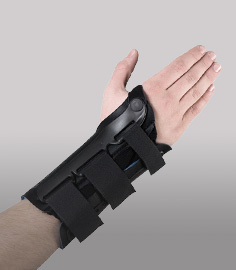 Customer service was great in helping me determine whether this brace was for me. Fast shipping. Thank you! Does a great job relieving my arthritis pain with walking and climbing stairs. I wear it about 12 hrs a day. My 2nd brace hinge spring finally broke on both of them the other day. DME-Direct got them fixed/replaced under warranty without any issues.